The chakra system of Yoga, which originated in India, was not commonly known in Japan at the time Mikao Usui was practicing Reiki. Usui did not emphasize a particular inner system such as the chakras in his teachings. He encouraged Reiki teachers to keep explanations on Reiki very simple. Self-practice and meditation were important, as was staying connected with your Reiki master. After Reiki was brought out of Japan to The West, many teachers added teachings on the chakras to their courses as they complement Reiki practice beautifully. 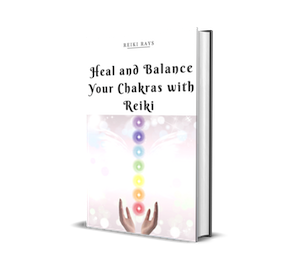 The 12 hand placements of Reiki correspond very well with the location of the chakras and it feels natural for many to facilitate a rebalancing of the energetic field through what is now commonly known as “chakra balancing”. Understanding and working with the chakras is of great benefit to personal development. Regular Reiki practice helps to purify the chakras, particularly at the level of the pranic or energy body. A pure and energized pranic body supports deeper self-inquiry and greater health and well-being. The chakras are much more than energetic centers of force that distribute energy. They are also a map of consciousness that helps us to understand ourselves and the path of evolution more clearly. The chakras are like antennae which attune to particular universal frequencies. This means that each chakra gives different qualities of consciousness to the being. For example, the third chakra, situated at the navel, resonates with the element of fire. It gives us the qualities of willpower, determination, strength, self-confidence, and dynamism. It gives us vitality and an enterprising attitude. It is the level of our being where we feel our individual presence in the world and are able to stand apart from others in our uniqueness. If we want to develop and enhance these qualities we can use practices that purify and energize the third chakra, helping us to come into greater resonance with the universal frequencies associated with the fire element. A daily commitment to practicing Reiki is one way in which we can bring more fire to our being and especially develop willpower and determination. Do you have the determination to practice every day no matter what? This is the heroic attitude of someone with a lot of fire, who pushes out of the comfort zone like a warrior. The 21 days of practice following a Reiki level 1 course is a great test of our strength at the level of the third chakra. Can you take it further and commit to a lifetime of daily practice? This works mostly on the pranic body, which is a good place to start. It is also very calming for the mind and emotions. The aim of this exercise is to use the breath to guide Reiki to every part of the body via the chakras. In this way, the energetic field and body is cleansed and charged with energy. Stand, sit or lie down. Relax your body and close your eyes. Bring hands to Gassho (prayer position). Raise your hands up as high as possible, hands shoulder-width apart, palms facing inwards, fingertips reaching for the sky. Relax your fingers. Feel the vibrations of Reiki in the hands and arms and flowing into the whole of the body. Bring hands down slowly to a resting position. Breath in and out at the belly. Breath in and feel your abdomen expand, breath out and your abdomen shrinks. While breathing in, imagine that Reiki is reaching every cell in all parts of the body, then coming out of the body. Repeat until you feel very calm and relaxed. While breathing out imagine that tension and negative thoughts are releasing out of the body. a) Breathing in Reiki through Muladhara (first chakra), move the energy up, stop at Anahata (heart chakra) and fill with energy. Breathe out from the heart, feeling energy expanding in every direction into the universe. b). Breathe in, feeling Anahata filling with energy. Breathe out, feel the energy moving up into and out of Sahasrara (crown chakra) to the universe. c). Breath in down through Sahasrara, back to Anahata and fill with energy. Breath out from Anahata, feeling the expansion. d). Breath into Anahata, breathe out, feeling energy moving down to Muladhara, grounding and calming. Bring hands to Gassho to finish. Give thanks for Reiki and the benefits received. Hi ..very very good information you shared. Thank you.